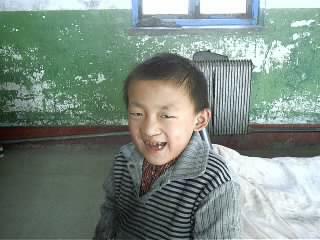 China has promoted its "model" orphanages and people world-wide have adopted adorable Chinese babies. But as a result of these "model" orphanages, children who are not perfect or who are older are purged from these well-funded and professionally staffed facilities. They are sent to the state-run orphanages that inadequate in respect to medical care, sanitary conditions, educations and general welfare. 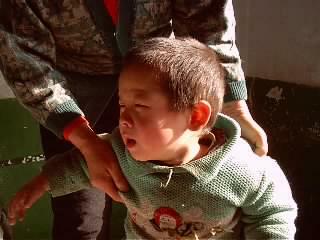 Children born with handicaps, or who are considered "undesirable" either because they are female or have been abandoned due to poverty, live in orphanages that are shameful to Chinese society and closed to the outside. These orphans are not authorized to be adopted. 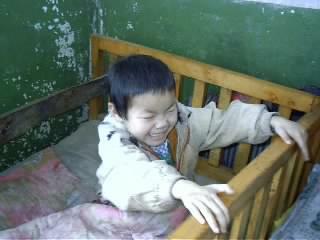 One of my Chinese friends, Mr. Ma, visited the orphanage and took the photos on these pages with the permission of Director Wan Zongcheng. 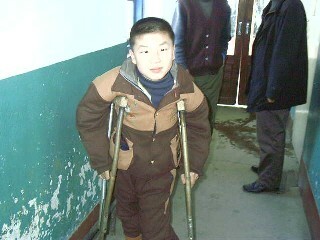 This orphanage is located in a remote region in Liaoning Province. It is an old courtyard style complex that also houses senior citizens. The senior citizens help to take care of the orphans, and they benefit each other, as the children get a lot of attention, and the older people get a great deal of pleasure of caring for the children.